It’s pretty clear that sugar isn’t healthy, especially in excess, but are artificial sweeteners the answer? Probably not. Though I do use some natural no-calorie sweeteners occasionally, I steer clear of artificial sweeteners all together. Artificial sweeteners are synthetic sweeteners that may be chemically derived but may also be derived from ”natural” sources. For example, sucralose is derived from sugar. Either way, they are highly processed. The FDA has approved six artificial sweeteners: saccharin, aspartame, acesulfame potassium (Ace-K), sucralose, neotame, and advantame. These sweeteners are as much as 20,000 times sweeter than sugar but contain few or no calories. There’s a lot of controversy surrounding artificial sweeteners and the research can be confusing and conflicting. 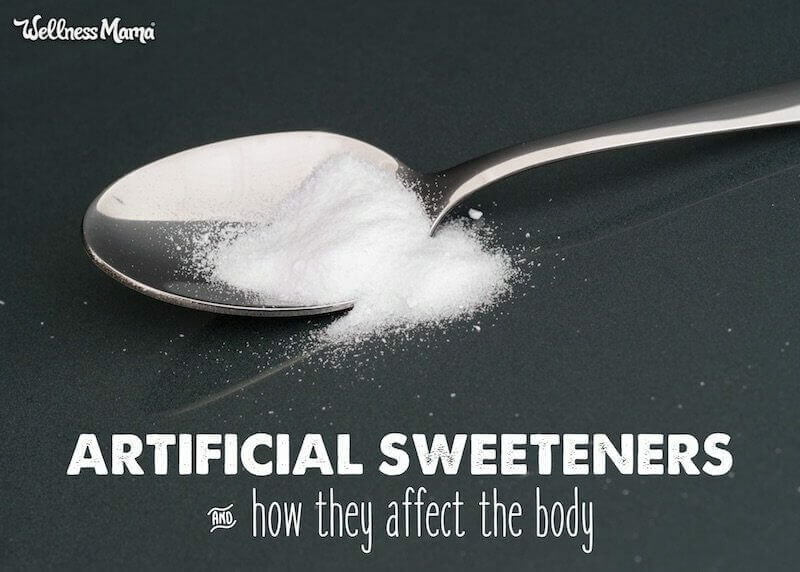 Here’s what we know about how these sweeteners affect the body. Humans (and other animals) have a natural ability to regulate calories and weight based on taste and texture of food. For example, as babies we learn that the sweet taste and thick viscosity of breastmilk means calories are coming. Studies found that ingesting artificial sweeteners can interfere with this signal loop and cause overeating. One study found that (in rats) eating foods or drinks that are sweet but contain no calories “tricks” the brain into thinking that they should keep eating. Another study found that rats fed a saccharin-sweetened yogurt ate more calories and gained more weight than rats fed a glucose-sweetened yogurt. However, these studies are rat studies and may not cause the same effect in humans. In fact, human studies show no direct correlation (or reverse correlation) between artificial sweeteners and weight gain or increased appetite. A 2012 review determined that more research is needed to determine the effect of artificial sweeteners on insulin, blood sugar, metabolism, and weight. However, other studies found links between artificial sweetener use and brain changes. In one study, people who regularly used artificial sweeteners had a higher reward response to both saccharin and sugar than people who don’t use artificial sweeteners. Another study found that artificial sweetener consumption influences the amygdala’s response to sugar consumption. (The amygdala is a part of the brain involved in deciphering caloric value from taste.) The study concluded that artificial sweeteners may be associated with brain changes that can affect eating behavior. Bottom Line: Though there’s no conclusive evidence that artificial sweeteners cause increased appetite or weight gain, there is some evidence suggesting there may be a correlation. It’s possible that blood sugar is affected by artificial sweeteners. 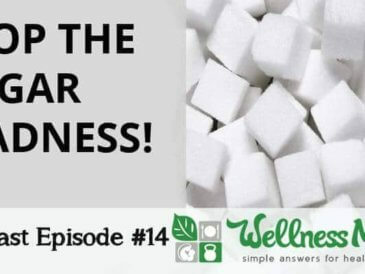 When we eat something with sugar in it, our body is signaled to produce insulin (which sweeps the sugar away to be metabolized or stored as fat). If we eat something with artificial sweeteners the body releases insulin but then doesn’t have any sugar to sweep away. This can cause low blood sugar. In turn, low blood sugar causes sugar and simple carb cravings, which takes us on the blood sugar roller coaster. A series of studies showed that mice given artificial sweeteners (compared to mice given only water or water and sugar) had blood sugar spikes in line with glucose intolerance. A human study found that sucralose consumption increased insulin response in people with obesity. However, a review found that non-nutritive sweeteners had no adverse effects. According to PaleoLeap the researchers of this review had conflicts of interest (one worked for the International Sweeteners Association, the other works for the company that makes Splenda) so the findings should be taken with that in mind. Bottom line: It’s unclear whether artificial sweeteners affect blood sugar and insulin. However, many people who use them do so to manage obesity and diabetes, so it would make sense to be cautious of ingesting something that could potentially make the condition worse (or at least not help). We know that gut health is incredibly important so I’m cautious of anything that can disrupt it. In the above research where mice had blood sugar spikes when using artificial sweeteners, researchers wanted to know if the glucose intolerance had something to do with gut bacteria. So researchers gave the mice antibiotics to wipe out their gut bacteria and the mice no longer had glucose intolerance. Interestingly, when the researchers transferred the gut bacteria of mice who had ingested an artificial sweetener (saccharin) into mice whose guts were sterile, it caused these previously healthy mice to become glucose intolerant. The team analyzed the gut bacteria and found that artificial sweeteners increased the amount of a specific bacteria that has already been linked to obesity in humans. 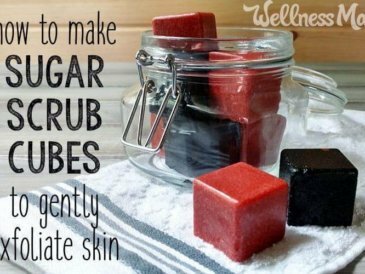 So what to do when you want some sweetness without any of the downsides of real sugar or synthetic chemicals that (supposedly) taste like sugar? Artificial sweeteners may not be the best choice, but what about natural ones? Natural zero-calorie sweeteners (like stevia, erythritol, and xylitol) are not artificial but may still have some drawbacks. 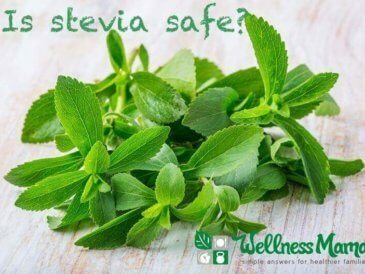 For example, stevia powder (versus the herbal extract) is highly processed and unstudied for safety. However, I do choose to use liquid stevia as an occasional treat. Even if artificial sweeteners don’t directly cause disease, it makes sense that they may condition people to crave sweet foods over nutritious foods. For example, stimulation of sugar receptors (from eating sweet foods) can make people less sensitive to sweetness. That means less intensely sweet things don’t taste good (fruit doesn’t taste good and vegetables taste plain bad). These people may not gain weight, but they likely are losing health if they are avoiding nutritious foods and instead eating low-calorie sweet foods. Weight can be a sign of health but it isn’t the only one. A person can be thin but still be unhealthy. 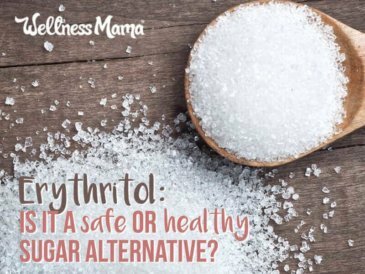 Also, the suggestion that a sugar substitute is healthier than sugar (if it is) doesn’t give me a lot of confidence considering how many health issues sugar can cause. My takeaway is that we have to learn to enjoy foods without added sweetness. We make the occasional treat using nutrient-dense foods and small amounts of natural sweeteners like honey or maple syrup, but keep it at a minimum. Do you use artificial sweeteners? What’s your experience? Renwick, A. G., & Molinary, S. V. (2010, July 12). Sweet-taste receptors, low-energy sweeteners, glucose absorption and insulin release | British Journal of Nutrition. 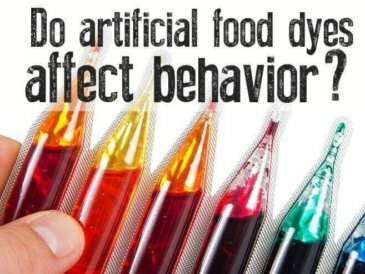 Do Food Dyes Affect Behavior?